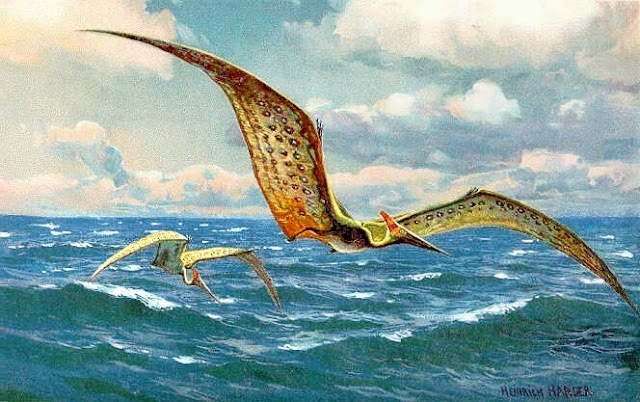 The flight of pterosaurs and the extreme sizes of some taxa have long perplexed evolutionary biologists. Past reconstructions of flight capability were handicapped by the available aerodynamic data, which was unrepresentative of possible pterosaur wing profiles. I report wind tunnel tests on a range of possible pterosaur wing sections and quantify the likely performance for the first time. These sections have substantially higher profile drag and maximum lift coefficients than those assumed before, suggesting that large pterosaurs were aerodynamically less efficient and could fly more slowly than previously estimated.In order to achieve higher efficiency, the wing bones must be faired, which implies extensive regions of pneumatized tissue. Whether faired or not, the pterosaur wings were adapted to low-speed flight, unsuited to marine style dynamic soaring but adapted for thermal/slope soaring and controlled,low-speed landing. Because their thin-walled bones were susceptible to impact damage, slow flight would have helped to avoid injury and may have contributed to their attaining much larger sizes than fossil or extant birds. The trade-off would have been an extreme vulnerability to strong or turbulent winds both in flight and on the ground, akin to modern-day paragliders.